Raised Hands Catching Sun On Sunset Sky. Concept Of Spirituality,.. Stock Photo, Picture And Royalty Free Image. Image 61712972. 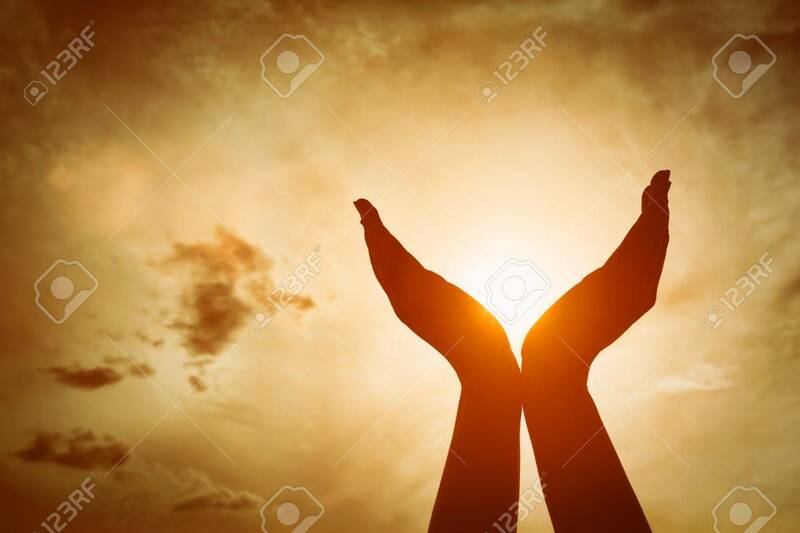 Stock Photo - Raised hands catching sun on sunset sky. Concept of spirituality, wellbeing, positive energy etc.